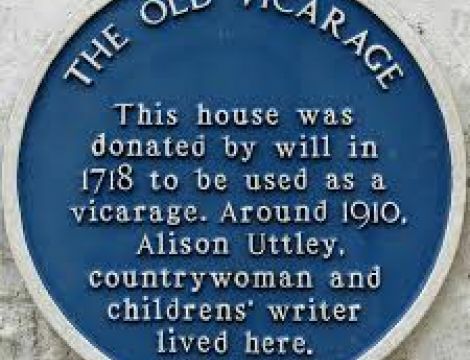 Alison Uttley once lived in The Old Vicarage, now the offices of Chafes Hague Lambert Solicitors. For the first time, visitors can step in her footsteps and see the virtually unchanged drawing room. 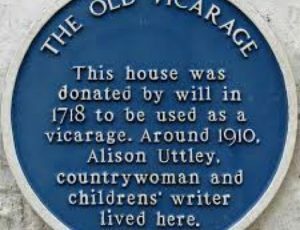 This lovely Grade II late 17th century building was once the home of Alison Uttley and it is thought that Mrs Gaskell had this building in mind when telling the story of Miss Matty’s brother Peter, in Cranford. The facade represents an unusual and notable example of the naïve ‘Artisan Mannerist’ style of 17th century provincial work. Now used as commercial offices by Chafes Hague Lambert Solicitors this is a unique opportunity to step inside Alison Uttley’s former home. Although the building is used for commercial purposes, the impressive Board room – once the drawing room – is largely unchanged, giving visitors the same views that Alison would have enjoyed. There will also be the opportunity to view architects’ drawings, planning permissions and work estimates relating to the building’s 20th century development from home to office recently discovered in Chafes Hague Lambert’s archives, including a newspaper from 1967. This is a commercial premises and normal office activities will be taking place. so only a limited part of the building will be available.